He had a great set of challenged posts with super heroes of a different nature. I give you this special song... STARTED LIKE THIS!! Check out the latest reviews, music and scores/soundtracks at Howlin' Wolf Records: On-Line Magazine or find the latest horror sites over at Horror Blogger Alliance. 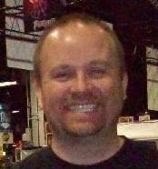 Or last but not least visit My NEATORAMA Store at Jeremy Hawkins there is always something going on and it is one click away! Those cupcakes are awesome on so many levels. I bet Mark highly approves of those cupcakes! You did have a really good minions team. Loved the cupcakes, but I'd be too afraid to eat one. Oh, and that's one of my favorite RUN DMC songs, too! what do you mean you've run out of cinnamon and vanilla??? How on earth am I supposed to bake you come cakes today, mister??? That Hulk cupcake looks like it is filled gamma radiation!! Fun picture and post. What would we have done without our minions??? I'd have drowned, that's for sure. What a great idea to give them all another shout-out and thanks. 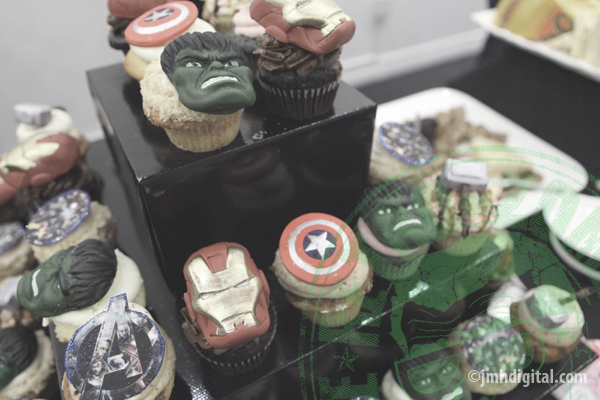 Avengers cupcakes! Yes please! I like your new template BTW. It's very sleek. yummm, I want a Hulk cupcake! I must admit they are well done! Love the cupcakes bags the ironman one. This is for the LADY: MINIONS a quiet THANK YOU! Anime Central: First Share and She is Lovely!! Why is it Women don't like the THREE STOOGES? Star Trek Into Darkness... is Here. Can You Answer It?... and don't say "SHOWGIRLS"
MANGA, What is it REALLY?